Airwavz.tv is extremely pleased to announce the addition of media and technology veteran Leonard M. Fertig to its team as: Chief Strategy Officer & Advisor – a key role focused on helping Airwavz achieve its first round financing needs and rapid expansion. Len will focus on developing a pipeline of investors, partners, distributors and vendors for the Seattle-based startup, and formalize a go-to-market strategy for advancing Quarterback®, a unique digital TV antenna, receiver and tuner for domestic and international broadcast TV markets. Len will serve as executive outreach and business development negotiator, with the title Chief Strategic Officer and Board-Advisor. Len Fertig has an impressive career in the broadcast industry spanning 35+ years, during which he has founded and developed a multitude of public and private businesses. Most recently, Len is a mentor to several startups, helping them strategize their businesses, raise capital and grow operations. From 2008 until 2016, Len was co-founder and CEO of Motive Television, a PLC based in London and a technology developer for the international television business. Motive Television developed the concept and technology for TabletTV in the UK, and rapidly expanded their launch in the USA in 2014. 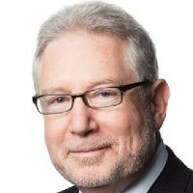 Prior to Len’s CEO roles at Tablet TV and Motive Television, Len spearheaded the turnaround of a Nasdaq-listed e-learning company from 2004-2007, and co-founded an online trading platform for content rights. During the 1990’s Len Co-founded and was CEO of Central European Media Ltd, (Nasdaq CETV). Len built CETV from a startup to a billion-dollar market value. During the 1980’s he was an advisor and partner to cable entrepreneurs and helped create what became Arts and Entertainment as well as co-founding RequesTV, the first on-demand TV in the USA. Earlier in his career, Len was an airline executive and consultant who invented the first airline miles program for American Airlines. Airwavz.tv is a Seattle based startup at the forefront of designing, building and commercializing NextGen TV mobile digital TV antennas for domestic and international broadcast TV markets. Quarterback® is the company’s first award-winning, patented, digital TV antenna for smartphones and tablets, coming soon to the USA.